Date of Construction 1915 AD. AD. 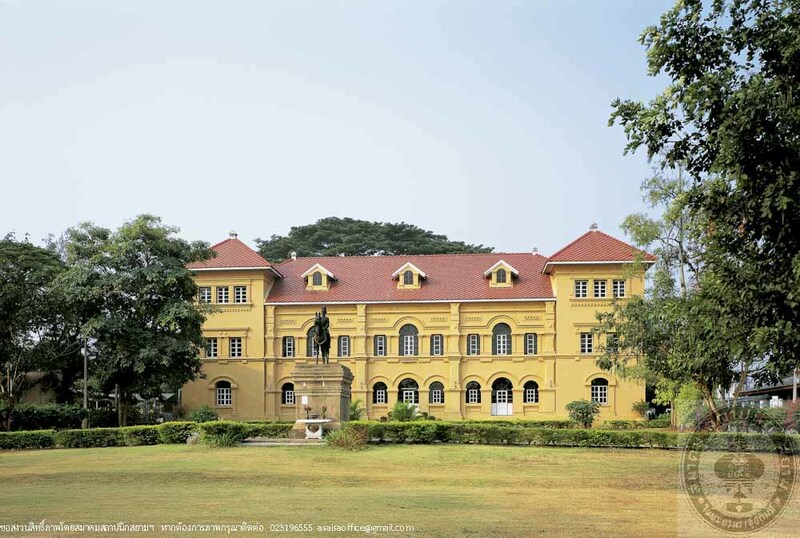 Queen Sirikit National Library, Nakhon Phanom Province is a Neo-Palladian architecture. Its structure is brick masonry wall-bearing, 2-storey, with 2-towers at both ends of the building. The exterior walls feature connected arches and superimposed order of pilasters. 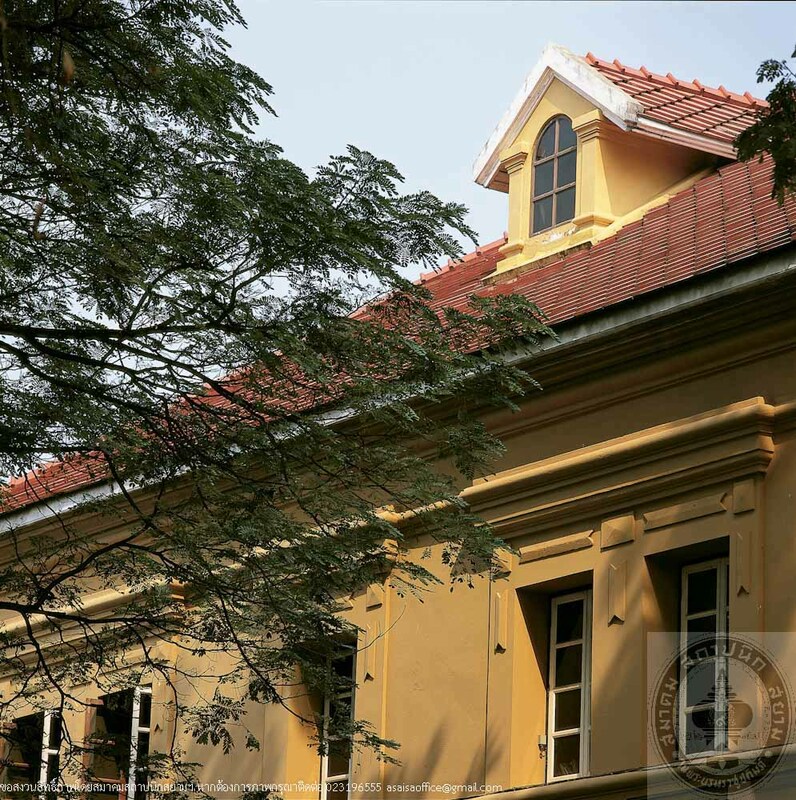 The building was originally built as town hall by Phraya Nakharanurak (Oui Nakhonthap),the first Governor of Nakhon Phanom. 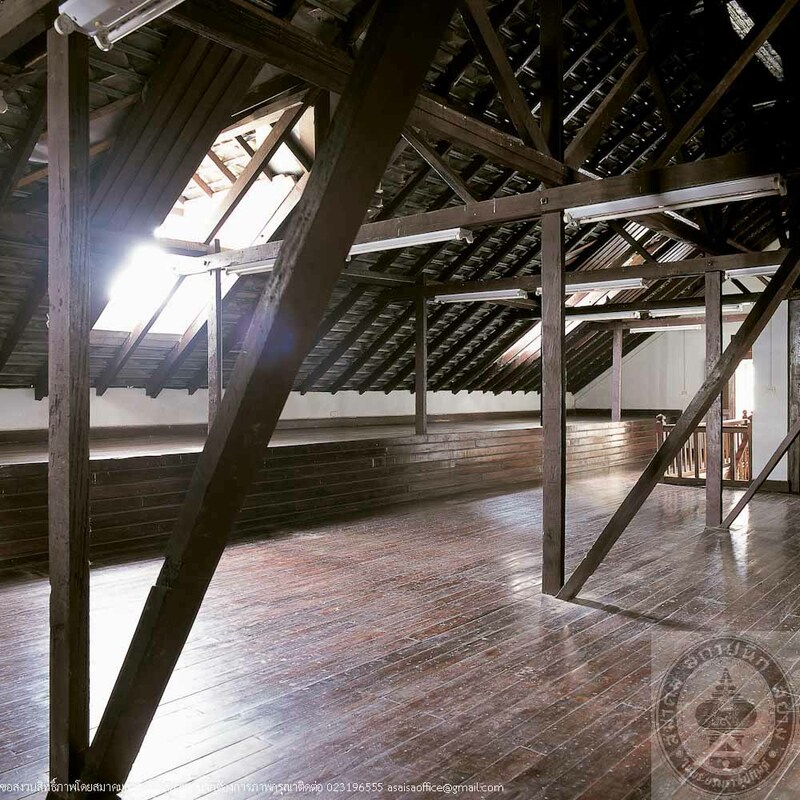 The designed was obtained by request from Chiang Rai Province and construction began in 1915. Building contractor was Mr. Kai, a Vietnamese. The building has been used a Provincial Hall until 1977, then it was changed as office of the Internal Security Operations Command during 1980 - 1990. In 1990, General Mana Rattanakoses, an MP of Nakhon Phanom who was the Minister of Education, intiated the establishment of a national library at Nakhon Phanom. However,the budget was not sufficient for construction of a new building therefore, the old Provincial Hall has been chosen be rehabilitated as a library. The project was part of the Celebration on 5th Cycle of Queen Sirikit Birthday (12th August, 1992). Hm the Queen had granted a permission for the library to be named “Queen Sirikit National Library, Nakhon Phanom Province”, which has been opened to public since June, 1994.